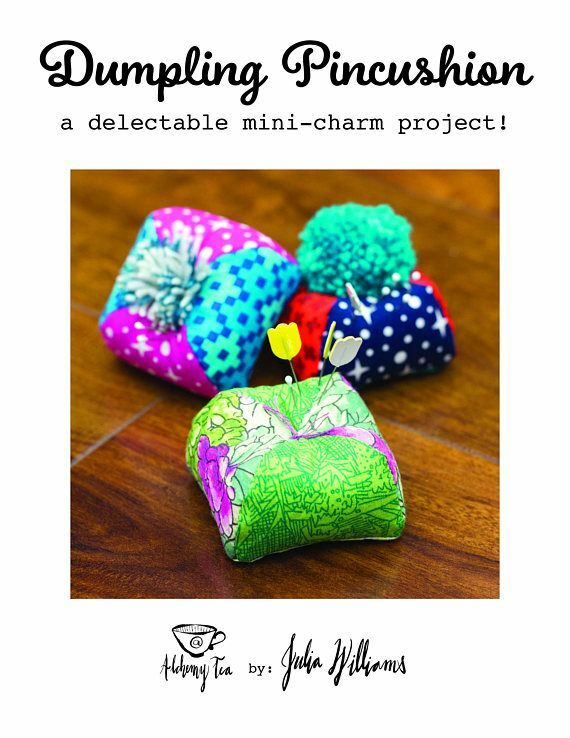 This pattern is designed to be a quick, fun item - these yummy little 2”x2“x1” dumplings make great gifts and are perfect for those mini-charms and scraps in your stash! Designed to take about 20 minutes, these small but mighty walnut-filled pincushions also work as pattern weights! Pattern includes suggestions for totally unique toppers for a personal look. 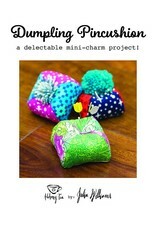 Materials: Quilting weight cotton scraps or assorted mini-charms, sewing thread, embroid. floss, ground walnut shells, hand sewing needles.